In general, any personal data collected during such processes will be used in order to reply to your queries, to allow you and as applicable the end-user customers of your business to use or receive the benefit of the Atlas Delivery, to carry out marketing activities, to provide customer support and to carry out analyses, all in order to ensure you and as applicable the end-user customers of your business have an optimized experience. We collect information about you, your company and where relevant, about the end user customers of your business, as you or your company register(s) for an account, whether it is a trial account or full services account, and when you (or your company) create or modify your profile, or otherwise use, access or interact with the Atlas Delivery Such information may include for example contact information such as name, email address, mailing address and telephone number, billing information such as credit card details and billing address, profile information such as username, profile photo and job title and preferences information such as notification and marketing preferences. In some cases, another user (such as a system administrator) may create an account on your behalf and may provide your information, including personal information (typically when your company requests that you use the Atlas Delivery). You or the other user (a system administrator or other relevant party) may also give us permission to access your information from other services. For example, your information with us may be linked to your account with Google, Microsoft Office 365 or another third party account, which may allow us to obtain information from such accounts (like your basic profile or contacts or calendar scheduling). When you register or use our mobile application (the "App"), we collect device type and UUID, a unique identifier generated within the App, and store this information in log files. We use this information to provide you with the most up to date application and features or to advertise or promote products and services to you. As is true with most websites and services delivered over the internet, we gather certain information and store it in log files when you interact with our Site and use the Atlas Delivery. Often such information is recorded automatically as your browser sends it whenever you visit our Site or otherwise use the Atlas Delivery. Information may include for example internet protocol (IP) addresses as well as browser type, internet service provider, URLs of referring/exit pages, operating system, date/time stamp, information you search for, locale and language preferences, identification number associated with your devices, your mobile carrier and system configuration information. Different types of information may also depend upon whether you are using a Mac or PC, or an iPhone or Android phone, as well as the specific security settings you have implemented on such a device. Tracking information is also collected and stored in log files as you navigate through the Site and use the Atlas Delivery, including, but not limited to purchase history, delivery location history, and click tracking. Due to the nature of the Atlas Delivery, such information will also include information of your end user customers and other relevant parties that are receiving your services or the benefit of the Atlas Delivery. Google Adwords Conversion Tracking: Atlas Delivery may utilize Google Adwords Conversion tracking to help us collect general usage statistics on how many site visitors have clicked on our Google ads and made an inquiry or purchase with us. This may be tracked using cookies which do not contain any personally identifiable information and expire within 30 days. For more information or to opt out of this service, please refer to Google advertising policies and principles. If you choose to invite a party to use the Site or the Atlas Delivery by completing an online or hard copy form, you will need to provide the name and email address of such party. Atlas Delivery stores this information to track the results of the invitation referrals. To help us serve your needs better and those of your end-user customers, Atlas Delivery and our third-party partners, such as advertising and analytics partners, use "cookies" to store and sometimes track user information. These cookies may be either "session" cookies (that last until you close your browser) or "persistent" cookies (that last until you or your browser delete them). A cookie is a small amount of data that is sent to your browser from a web server and stored on your computer's hard drive. Some of the cookies we use are associated with your account (including personal information about you such as the email address you gave us), and others are not. Our Site may offer publicly accessible blogs or community forums. You should be aware that any information you provide in these areas may be read, collected, and used for any purpose by others who access them. We are not responsible for the personally identifiable or other information you choose to submit in these areas. To request removal of your personal information from our blogs or community forums, contact us at privacy@atlasdelivery.io. in some cases, we may not be able to remove your personal information, in which case we will let you know if we are unable to do so and why. We also obtain information from third parties and combine that with information we collect through our Site and the Atlas Delivery. For example, we may have access to certain information from a third party social media or authentication service if you interact with our Site or use the Atlas Delivery through the service or otherwise provide us with access to information from the service. Any access that we may have to such information from a third party social media or authentication service is in accordance with the authorization procedures determined by that service. Subject to your opt-out preferences, to communicate with you regarding new potential product or services features, or other news about us or on topics we think would be of interest to you. In addition to the use and disclosure of information outlined above, we also use and disclose information for purposes ancillary and consequential to the primary purpose of collection. To this end we may also use the services of agents, service providers or contractors. Such third party service providers may include for example parties that provide website development, crash reporting and related services, application development, hosting, maintenance, back-up, storage, virtual (or cloud computing) infrastructure, payment processing, analysis, marketing, SMS and other alerting services, providing customer support, account administration and other services. These service providers may have access to or process your information for the purpose of providing those services for us. We may also disclose information (including personal information) to a third party if (a) we believe that disclosure is reasonably necessary to comply with any applicable law, regulation, legal process or government request, (b) to enforce our agreements, policies and terms of service, (c) to protect the security or integrity of the Atlas Delivery, (d) to protect Atlas Delivery and its rights and properties, and those of our agents, customers and others, and to protect such parties and the public generally from harm or illegal activities, or (e) to respond to an emergency which we believe in good faith requires us to disclose information to assist in preventing the death or serious bodily injury of any person. We may share or transfer your information, including your personal information, in connection with, or during negotiations of, any merger, sale of company assets, financing or acquisition, divestiture or dissolution of all or a portion of our business, including for purposes of investor presentations and general information. In the event of an insolvency, bankruptcy or receivership, personal information may also be transferred as a business asset. We use appropriate security measures to help protect the security of your personal data both online and offline, including by means of using encryption technology. These measures vary based on the sensitivity of the information that we collect, process and store and the current state of technology. We retain the personal data we collect for so long as reasonably necessary to fulfill the purposes for which the data was collected, to perform our contractual and legal obligations and for any applicable statute of limitations periods for the purposes of bringing or defending claims. Please note however that no website or internet transmission is completely secure. We cannot guarantee the security of our database, nor can we guarantee that information you supply won't be intercepted while being transmitted over the internet. Any information you transmit to Atlas Delivery you do at your own risk and Atlas Delivery cannot accept any liability for any loss or damage suffered by you as a result of any unauthorized access to or disclosure of information supplied by you. We recommend that you take steps to protect against unauthorized access to your device and account. In furtherance of the foregoing, among other measures, we recommend that you use unique numbers, letters and special characters in any passwords you create and not disclose your passwords to anyone. If your password to your account with us has been compromised for any reason, you should immediately notify Atlas Delivery and change your password. We take reasonable steps to ensure that the information we collect is accurate and up to date at the time of collection. In order to keep your personal information accurate and up to date with respect to your account with us, you can log in to review and update your account information, including contact and billing information, via your account settings page. In other circumstances outside of any account, or otherwise as needed in order to change or update the accuracy of our records, please contact us and we will take reasonable steps to amend the information. You may request access to, changes or deletions of, personal information that we hold about you by contacting us at privacy@atlasdelivery.io. Please note that even if you request that we delete data we have collected from you, we may still retain data collected from you in an aggregated or anonymized form that does not identify you. We will also not delete your data if we are legally required to retain it. You may also ask us what we do with your personal data, or request restrictions on the processing of such information and can revoke your consent at any time. In addition, you may at any time lodge a complaint or ask for the deletion or transfer of your personal data. Atlas Delivery its affiliates ("Atlas Delivery", "we", "our") welcome you (the"User(s)", or "you") to our primary website at https://www.atlasdelivery.io/(and its subdomains) (the "Site"). Our Site offers basic information regarding our company and our services. Each of the Site's Usersmay uses the Site in accordance with the terms and conditions hereunder. The Site is available only to individuals who (a) are at least sixteen (16) years old; and (b) possess the legal capacity to enter into these Terms (on behalf of themselves and their organization) and to form a binding agreement under any applicable law. You hereby represent that you possess the legal authority to enter into these Terms on your and your organization's behalf and to form a binding agreement under any applicable law, to use the Site in accordance with these Terms, and to fully perform your obligations hereunder. For the avoidance of doubt, any act or omission performed by you in connection with the Site shall obligate your organization. Atlas Delivery offers an enterprise solution for managing complex delivery operations. The Site provides information about the Company and may enable you to download our white papers, register to our webinars, contact us, book a demo, send us your CV and more. The Site also serves as the log-in page to Atlas Delivery's logistics platform. The Site may provide you with comprehensive information regarding, inter-alia, Atlas Delivery's products and services, concept, company overview, partners, resources library, news regarding Atlas Delivery, job opportunities and so forth, including any other content related thereto such as contact information, videos, text, files, logos, button icons, images, data compilations, links, other specialized content, technical data, documentation, know-how, specifications materials, designs, data, the "look and feel" of the Site, algorithms, source and object code, interface, GUI, interactive features related graphics, illustrations, drawings, animations, and other features obtained from or through the Site (collectively, the "Content"). For the avoidance of doubt, the Site serves mainly as an informative marketing tool, and engagements of any sort with us shall only be created on a first-person basis (e.g. through a User's meeting or discussion with our representative). The Content does not bind Atlas Delivery in any form, and in any case, where the Content contradicts or is inconsistent with separate agreements executed directly between Atlas Delivery and you, only information supplied by Atlas Delivery on a first-person basis shall prevail. ALL RIGHTS IN AND TO THE SITE AND THE CONTENT AVAILABLE ON THE SITE ARE RESERVED TO Atlas Delivery OR ITS LICENSORS. TO THE EXTENT LEGALLY PERMISSIBLE, THE SITE AND THE CONTENT AVAILABLE THEREIN ARE PROVIDED ON AN "AS IS" BASIS. Atlas Delivery WILL NOT BE LIABLE FOR ANY DAMAGES OR LOSS INCURRED TO YOU OR ANY OTHER PERSON AS A RESULT OF OR IN CONNECTION WITH YOUR USE OF THE SITE AND/OR THE CONTENT AVAILABLE THEREIN. YOUR USE OF THE SITE AND/OR THE CONTENT AVAILABLE THEREIN IS ENTIRELY AT YOUR OWN RISK. Note: Use of our Site is currently free of charge. However, we reserve the right to charge fees for certain features or services available via our Site in the future. You hereby acknowledge and agree that you may be charged for Internet, maintenance of network connection and data usage charges made through the use of the Site, according to the applicable rates charged by your respective third-party Internet and data usage service provider as may be from time to time. There are certain conducts which are strictly prohibited when using the Site. Please read the following restrictions carefully. Failure to comply with any of the provisions set forth herein may result (at Atlas Delivery's sole discretion) in the termination of your use of the Site and/or Content and may also expose you to civil and/or criminal liability. (a)use the Site and/or the Content for any illegal, immoral, unlawful and/or unauthorized purposes; (b) use the Site and/or Content for non-personal or commercial purposes; (c) remove or disassociate, from the Content and/or the Site any restrictions and signs indicating proprietary rights of Atlas Delivery or its licensors, including but not limited to any proprietary notices contained in such materials (such as ©,™, or ®); (d) interfere with or violate Users' rights to privacy and other rights, or harvest or collect personally identifiable information about Users without their express consent, whether manually or with the use of any robot, spider, crawler, any search or retrieval application, or use other manual or automatic device, process or method to access the Site and retrieve, index and/or data-mine information; (e) interfere with or disrupt the operation of the Site or the servers or networks that host the Site, or disobey any laws, regulations, requirements, procedures, or policies of such servers or networks; (f) falsely state or otherwise misrepresent your affiliation with any person or entity, or express or imply that Atlas Delivery endorses you, your site, your business or any statement you make, or present false or inaccurate information about the Site; (g) take any action that imposes, or may impose, an unreasonable or disproportionately large load on our platform infrastructure, as determined by us; (h) bypass any measures we may use to prevent or restrict access to the Site; (i) copy, modify, alter, adapt, make available, translate, port, reverse engineer, decompile, or disassemble any portion of the Content made accessible by Atlas Delivery on or through the Site, or publicly display, reproduce, create derivative works from, perform, distribute, or otherwise use such Content; (j) copy, distribute, display, execute publicly, make available to the public, reduce to human readable form, decompile, disassemble, adapt, sublicense, make any commercial use, sell, rent, transfer, lend, process, compile, reverse engineer, combine with other software, translate, modify or create derivative works of any material that is subject to Atlas Delivery's proprietary rights, including Atlas Delivery's Intellectual Property (as such term is defined below), in any way or by any means; (k) make any use of the Content on any other site or networked computer environment for any purpose without Atlas Delivery's prior written consent; (l) create a browser or border environment around Atlas Delivery Content (no frames or inline linking is allowed); (m) sell, license, or exploit for any commercial purposes any use of or access to the Site and/or the Content; (n) frame or mirror any part of the Site without Atlas Delivery's prior express written authorization; (o) create a database by systematically downloading and storing all or any of the Content from the Site; (p) transmit or otherwise make available in connection with the Site any virus, worm, Trojan Horse, time bomb, web bug, spyware, or any other computer code, file, or program that may or is intended to damage or hijack the operation of any hardware, software, or telecommunications equipment, or any other actually or potentially harmful, disruptive, or invasive code or component; (q) use the Site for any purpose for which the Site is not intended; and/or (s) infringe and/or violate any of the Terms. In order to contact us and use the Site, you will need to fill out and complete the Contact Form. The Contact Form may require, inter alia, the User's full name, e-mail address, phone number, country, company name and any text that you may add in the message box. The Site, the Content and Atlas Delivery's proprietary assets and any and all intellectual property rights pertaining thereto, including, but not limited to, inventions, patents and patent applications, trademarks, trade names, service marks, copyrightable materials, domain names and trade secrets, whether or not registered or capable of being registered (collectively, "Intellectual Property"), are owned by and/or licensed to Atlas Delivery and are protected by applicable patent, copyright and other intellectual property laws and international conventions and treaties. All rights not expressly granted to you hereunder are reserved by Atlas Delivery and its licensors. The Terms do not convey to you an interest in or to the Atlas Delivery's Intellectual Property but only a limited revocable right of use in accordance with the Terms. Nothing in the Terms constitutes a waiver of Atlas Delivery's Intellectual Property under any law. To the extent you provide any feedback, comments or suggestions to Atlas Delivery ("Feedback"), Atlas Delivery shall have an exclusive, royalty-free, fully paid up, worldwide, perpetual and irrevocable license to incorporate the Feedback into any Atlas Delivery current or future products, technologies or services and use same for any purpose all without further compensation to you and without your approval. You agree that all such Feedback shall be deemed to be non-confidential. Further, you warrant that your Feedback is not subject to any license terms that would purport to require Atlas Delivery to comply with any additional obligations with respect to any Atlas Delivery current or future products, technologies or services that incorporate any Feedback. 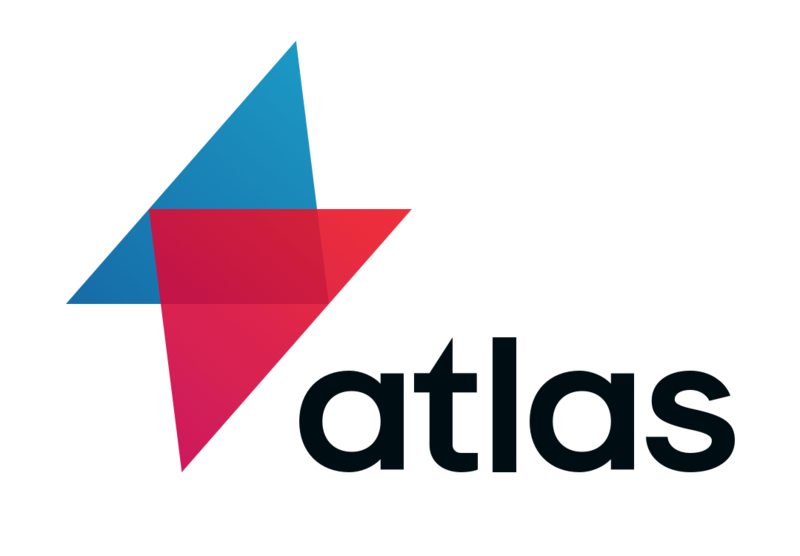 Atlas Delivery's marks and logos and all other proprietary identifiers used by Atlas Delivery in connection with the Site ("Atlas Delivery's Trademarks") are all trademarks and/or trade names of Atlas Delivery, whether or not registered. All other trademarks, service marks, trade names and logos which may appear on the Site belong to their respective owners ("Third Party Marks"). No right, license, or interest to Atlas Delivery's Trademarks and the Third Party Marks is granted hereunder, and you agree that no such right, license, or interest may be asserted by you with respect thereto and therefore you will avoid using any of those marks, except as permitted herein. We welcome links to any page on our Site. You are free to establish a hypertext link to the Site so long as the link does not state or imply any connection or approval of your website, products and/or services by Atlas Delivery, and does not portray Atlas Delivery in a false or otherwise offensive manner. You may not link to our Site from a site that you do not own or have permission to use. In the event that you link to Atlas Delivery's Site you represent that your site does not contain content that is unlawful, offensive or infringing third party rights. However, we do not permit framing or inline linking. The Site's availability and functionality depend on various factors, such as communication networks. Atlas Delivery does not warrant or guarantee that the Site will operate and/or be available at all times without disruption or interruption, or that it will be immune from unauthorized access or error-free. Atlas Delivery reserves the right to modify, correct, amend, enhance, improve, make any other changes to, or discontinue, temporarily or permanently this Site (or any part thereof, including but not limited to the Content) without notice, at any time. In addition, you hereby acknowledge that the Content provided under this Site may be changed, extended in terms of content and form or removed at any time without any notice to you. You agree that Atlas Delivery shall not be liable to you or to any third party for any modification, suspension, or discontinuance of this Site or the Content included therein. You hereby agree that Atlas Delivery is not responsible for any errors or malfunctions that may occur in connection with the performance of such changes. TO THE FULLEST EXTENT LEGALLY PERMISSIBLE, THE SITE AND CONTENT ARE PROVIDED ON AN "AS IS", "WITH ALL FAULTS" AND "AS AVAILABLE" BASIS, AND Atlas Delivery, INCLUDING ITS VENDORS, OFFICERS, SHAREHOLDERS, SUB-CONTRACTORS, DIRECTORS, EMPLOYEES, AFFILIATES, SUBSIDIARIES, LICENSORS, AGENTS AND SUPPLIERS (COLLECTIVELY, "Atlas Delivery'S REPRESENTATIVES"), DISCLAIM ALL WARRANTIES OF ANY KIND, EXPRESS, IMPLIED OR STATUTORY, INCLUDING BUT NOT LIMITED TO WARRANTIES OF TITLE OR NON-INFRINGEMENT OR IMPLIED WARRANTIES OF USE, MERCHANTABILITY OR FITNESS FOR A PARTICULAR PURPOSE AND THOSE ARISING FROM A COURSE OF DEALING OR USAGE OF TRADE. YOU MAY HAVE ADDITIONAL CONSUMER RIGHTS UNDER YOUR LOCAL LAWS THAT THIS AGREEMENT CANNOT CHANGE. WE NOTE THAT THESE TERMS GOVERN SOLELY THE USE OF THE SITE. ALL DISCLAIMERS AND WARRANTIES REGARDING ANY PRODUCTS OR SERVICES OF Atlas Delivery SHALL BE GOVERNED BY THE TERMS AND CONDITIONS REFLECTED IN A SEPARATE SERVICES AGREEMENT BETWEEN Atlas Delivery AND EACH USER. WE DO NOT WARRANT(I) THAT THE USE AND OPERATION OF THE SITE AND/OR THE CONTENT IS OR WILL BE SECURE, TIMELY, ACCURATE, COMPLETE, UNINTERRUPTED, WITHOUT ERRORS, OR FREE OF VIRUSES, DEFECTS, WORMS, OTHER HARMFUL COMPONENTS OR OTHER PROGRAM LIMITATIONS, (II) THAT WE WILL CORRECT ANY ERRORS OR DEFECTS IN THE SITE, (III) AND/OR MAKE ANY REPRESENTATION REGARDING THE USE, INABILITY TO USE OR OPERATE, OR THE RESULTS OF THE USE OF THE SITE AND/OR CONTENT AVAILABLE THEREON OR THROUGH THE SITE (INCLUDING THAT THE RESULTS OF USING THE SITE WILL MEET YOUR REQUIREMENTS). Atlas Delivery AND Atlas Delivery'S REPRESENTATIVES DISCLAIM ALL WARRANTIES AND CONDITIONS WITH REGARD TO THE USE OF THE SITE, INCLUDING BUT NOT LIMITED TO THE AVAILABILITY, RELIABILITY OR THE QUALITY OF THE SITE, AND ARE NOT AND SHALL NOT BE RESPONSIBLE FOR ANY ERROR, FAULT OR MISTAKE RELATED TO ANY CONTENT AND/OR INFORMATION DISPLAYED WITHIN THE SITE. WE ARE NOT RESPONSIBLE AND HAVE NO LIABILITY FOR ANY ITEM OR SERVICE PROVIDED BY ANY PERSON OR ENTITY OTHER THAN Atlas Delivery. YOU AGREE THAT USE OF THE SITE AND/OR THE CONTENT THEREIN IS ENTIRELY AT YOUR OWN RISK. TO THE MAXIMUM EXTENT LEGALLY PERMISSIBLE, IN NO EVENT SHALL Atlas Delivery, INCLUDING Atlas Delivery'S REPRESENTATIVES BE LIABLE FOR ANY DAMAGES WHATSOEVER, INCLUDING, BUT NOT LIMITED TO, DIRECT, INDIRECT, SPECIAL, PUNITIVE, EXEMPLARY, INCIDENTAL OR CONSEQUENTIAL DAMAGES OF ANY KIND, UNDER ANY LEGAL THEORY (INCLUDING, WITHOUT LIMITATION, CONTRACT, NEGLIGENCE, TORT OR STRICT LIABILITY), INCLUDING, WITHOUT LIMITATION, LOSS OF GOODWILL, PROFITS OR DATA AND BUSINESS INTERRUPTION, ARISING HEREUNDER, RESULTING FROM OR ARISING OUT OF THE SITE, ANY COMMUNICATIONS AND INTERACTIONS OR MEETINGS WITH USERS OF THE SITE OR OTHER PERSONS WITH WHOM YOU COMMUNICATE AS A RESULT OF YOUR USE OF THE SITE, AND/OR THE CONTENT, YOUR USE OR INABILITY TO USE THE SITE AND/OR THE CONTENT AND/OR THE FAILURE OF THE SITE TO PERFORM AS REPRESENTED OR EXPECTED, OR FROM ANY CONTENT, OR FROM THE PERFORMANCE OR FAILURE OF Atlas Delivery TO PERFORM UNDER THESE TERMS, ANY OTHER ACT OR OMISSION OF Atlas Delivery OR Atlas Delivery'S REPRESENTATIVES BY ANY OTHER CAUSE WHATSOEVER; OR BASED UPON BREACH OF WARRANTY, GUARANTEE OR CONDITION, BREACH OF CONTRACT, NEGLIGENCE, STRICT LIABILITY, TORT, OR ANY OTHER LEGAL THEORY, REGARDLESS OF WHETHER Atlas Delivery OR Atlas Delivery'S REPRESENTATIVES HAVE BEEN ADVISED OF THE POSSIBILITY OF SUCH DAMAGES. IN ANY CASE, WITHOUT LIMITING THE GENERALITY OF THE FOREGOING AND TO THE MAXIMUM EXTENT LEGALLY PERMISSIBLE, Atlas Delivery'S AND Atlas Delivery'S REPRESENTATIVES' TOTAL AGGREGATE LIABILITY FOR ALL DAMAGES OR LOSSES WHATSOEVER ARISING HEREUNDER OR IN CONNECTION WITH YOUR USE OR INABILITY TO USE THE SITE AND/OR THE CONTENT SHALL BE LIMITED TO THE AMOUNT ACTUALLY PAID BY YOU, IF ANY, TO Atlas Delivery FOR USE OF THE SITE OR $US1.00, WHICHEVER IS GREATER. YOU WILL NOT, AND WAIVE ANY RIGHT TO, SEEK TO RECOVER ANY OTHER DAMAGES, INCLUDING CONSEQUENTIAL, LOST PROFITS, SPECIAL, INDIRECT OR INCIDENTAL DAMAGES FROM US AND FROM Atlas Delivery'S REPRESENTATIVES. You agree to defend, indemnify and hold harmless Atlas Delivery, including Atlas Delivery Representatives from and against any and all claims, damages, obligations, losses, liabilities, costs, debts, and expenses (including but not limited to attorney's fees) arising from: (i) your use, misuse of, inability to use and/or activities in connection with the Site and/or Content; (ii) your violation of any of these terms; (iii) your violation of any third party rights, including without limitation any intellectual property rights or privacy right of such third party, in connection with your use of the Site; and (iv) any damage of any sort, whether direct, indirect, special or consequential, you may cause to any third party with relation to the Site. It is hereby clarified that this defense and indemnification obligation will survive these Terms. Without derogating from the foregoing, we reserve the right to assume the exclusive defense and control of any matter which is subject to indemnification by you, which will not excuse your indemnity obligations hereunder and in which event you will fully cooperate with us in asserting any available defense. You agree not to settle any matter subject to indemnification by you without first obtaining our prior express written approval. Atlas Delivery may, at its sole discretion, change the Terms from time to time, including any other policies incorporated thereto, so please re-visit this page frequently. In case of any material change, we will make reasonable efforts to post a clear notice on the Site and/or will send you an e-mail (to the extent that you provided us with such e-mail address) regarding such change. Such material changes will take effect seven (7) days after such notice was provided on our Site or sent via e-mail, whichever is the earlier. Otherwise, all other changes to these Terms are effective as of the stated "Last Revised" date and your continued use of the Site on or after the Last Revised date will constitute acceptance of, and agreement to be bound by, those changes. In the event that the Terms should be amended to comply with any legal requirements, the amendments may take effect immediately, or as required by the law and without any prior notice. At any time, Atlas Delivery may without notice discontinue your use of the Site, at its sole discretion, in addition to any other remedies that may be available to Atlas Delivery under any applicable law. Additionally, Atlas Delivery may at any time, at its sole discretion, cease the operation of the Site or any part thereof, temporarily or permanently, delete any information or Content from the Site or correct, modify, amend, enhance, improve and make any other changes thereto or discontinue displaying or providing any information, Content or features therein without giving any prior notice. You agree and acknowledge that Atlas Delivery does not assume any responsibility with respect to, or in connection with the termination of the Site's operation and loss of any data. The provisions of these Terms that, by their nature and content, must survive the termination of these Terms in order to achieve the fundamental purposes of these Terms shall so survive. (a) These Terms constitute the entire terms and conditions between you and Atlas Delivery relating to the subject matter herein and supersedes any and all prior or contemporaneous written or oral agreements or understandings between you and Atlas Delivery, (b) any claim relating to the Site or the use thereof will be governed by and interpreted in accordance with the laws of the State of Estonia without reference to its conflict-of-laws principles and the United Nations Convention Relating to a Uniform Law on the International Sale of Goods may not be applied, (c) any dispute arising out of or related to the Site will be brought in, and you hereby consent to exclusive jurisdiction and venue in, the competent courts of the Moscow, Estonia. You agree to waive all defenses of lack of personal jurisdiction and forum non-convenience and agree that process may be served in a manner authorized by applicable law or court rule. Notwithstanding the foregoing, Atlas Delivery may seek injunctive relief in any court of competent jurisdiction, (d) these Terms do not, and shall not be construed to create any relationship, partnership, joint venture, employer-employee, agency, or franchisor-franchisee relationship between the parties hereto, (e) no waiver by either party of any breach or default hereunder will be deemed to be a waiver of any preceding or subsequent breach or default. Any heading, caption or section title contained herein is inserted only as a matter of convenience, and in no way defines or explains any section or provision hereof, (f) YOU ACKNOWLEDGE AND AGREE THAT ANY CAUSE OF ACTION THAT YOU MAY HAVE ARISING OUT OF OR RELATED TO THE SITE MUST COMMENCE WITHIN ONE (1) YEAR AFTER THE CAUSE OF ACTION ACCRUES. OTHERWISE, SUCH CAUSE OF ACTION IS PERMANENTLY BARRED, (g) if any provision hereof is adjudged by any court of competent jurisdiction to be unenforceable, that provision shall be limited or eliminated to the minimum extent necessary so that these Terms shall otherwise remain in full force and effect while most nearly adhering to the intent expressed herein, (h) you may not assign or transfer these Terms (including all rights and obligations hereunder) without our prior written consent and any attempt to do so in violation of the foregoing shall be void. We may assign or transfer these Terms without restriction or notification, (i) no amendment hereof will be binding unless in writing and signed by Atlas Delivery, and (j) the parties agree that all correspondence relating to these Terms shall be written in the English language.